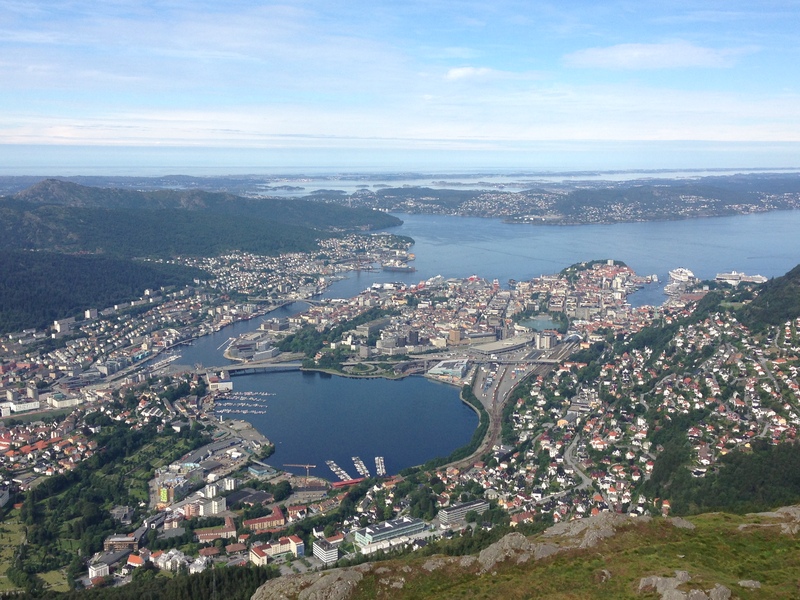 Bergen is on the west coast of Norway and it the 2nd largest city in Norway. 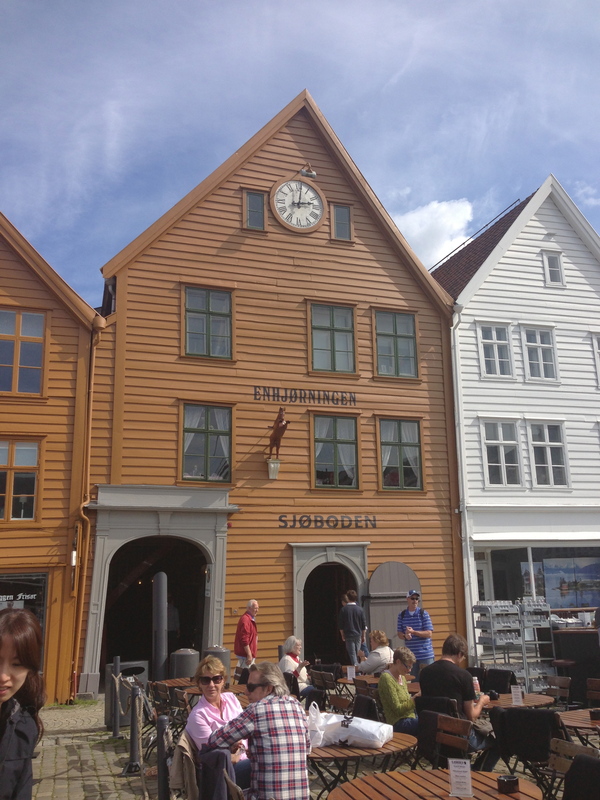 This colorful Norwegian gem is “The Gateway to the Fjords of Norway” and a well-established cruise port. 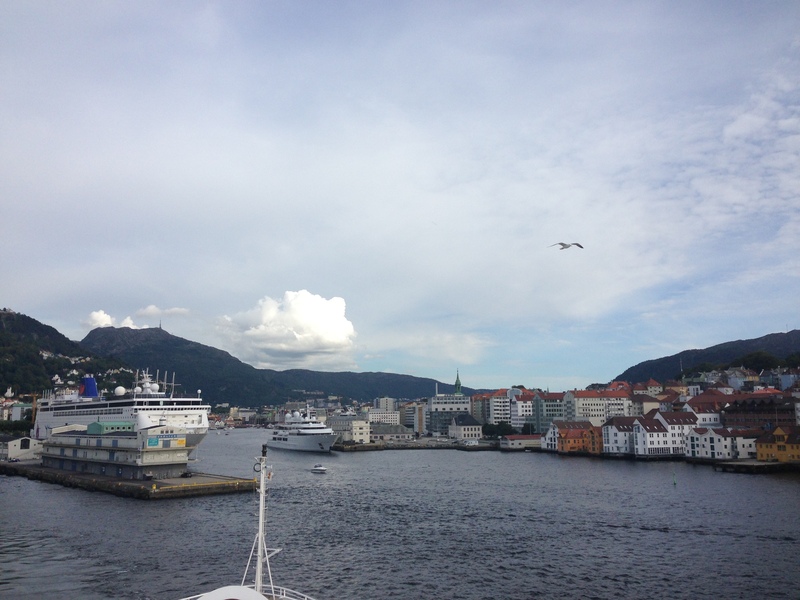 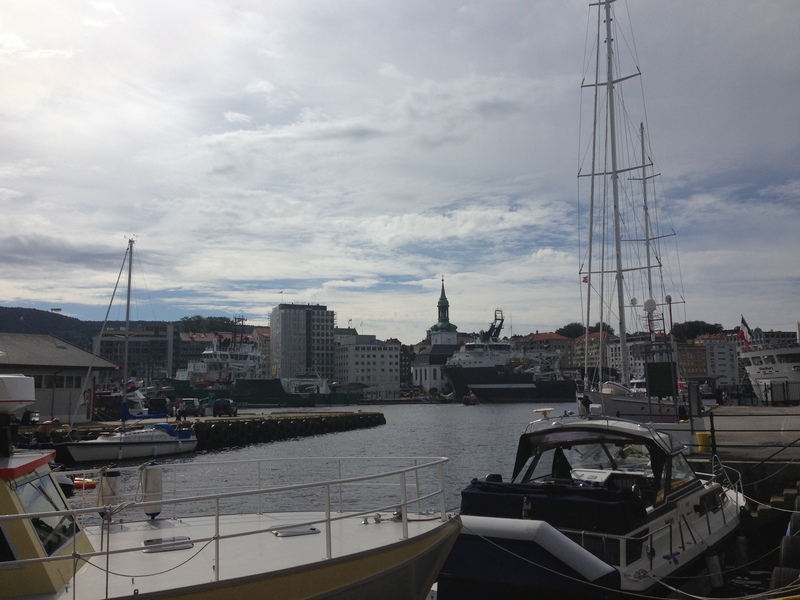 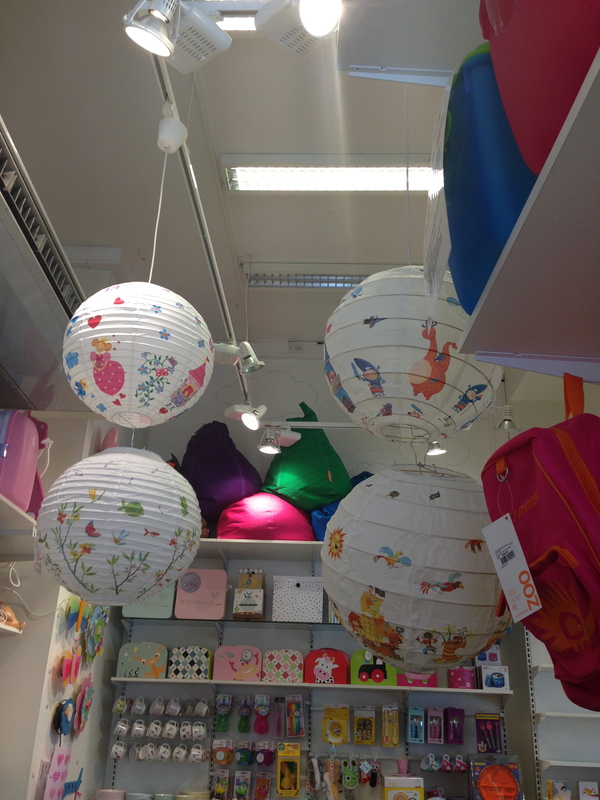 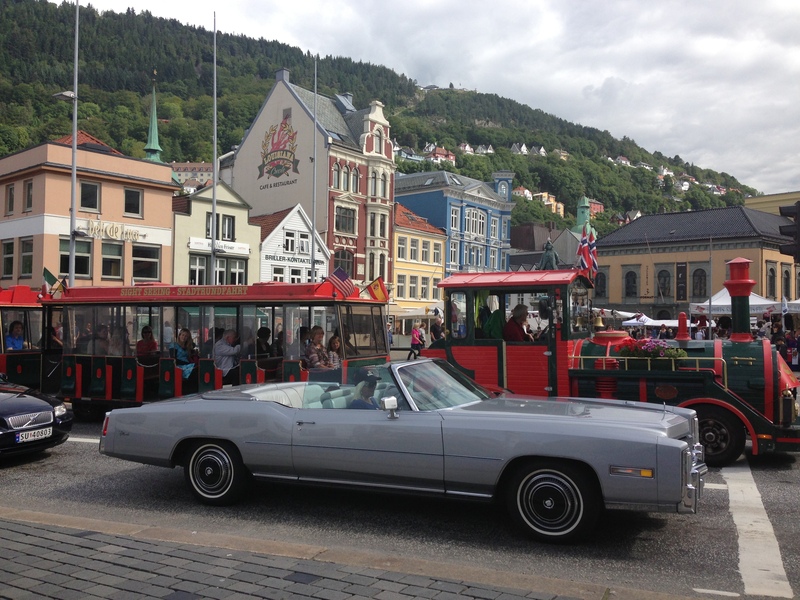 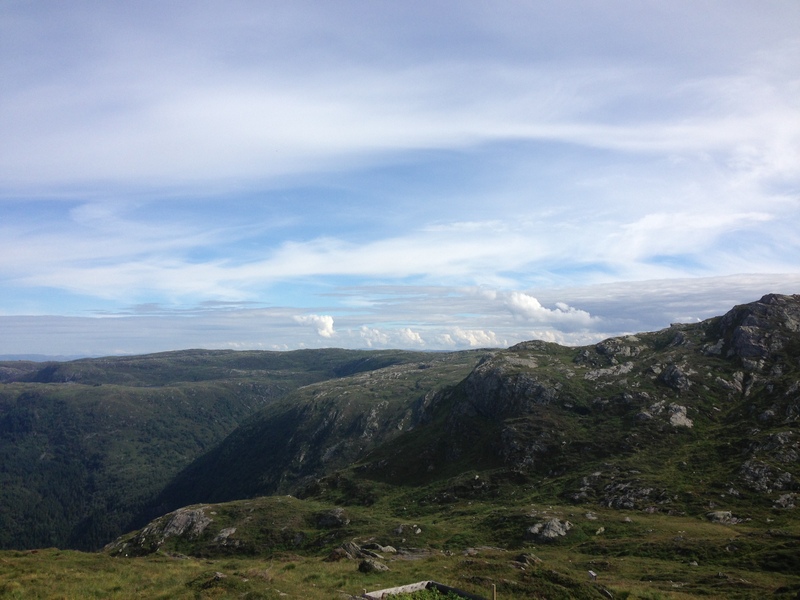 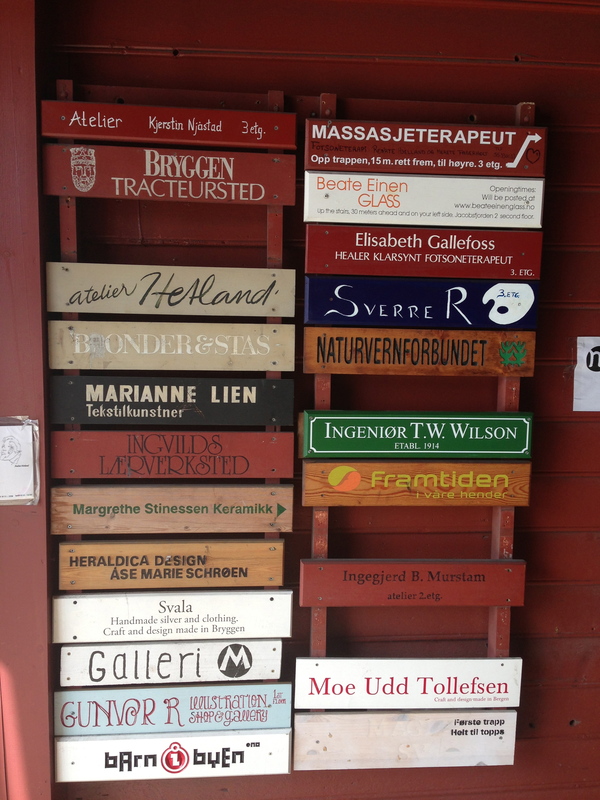 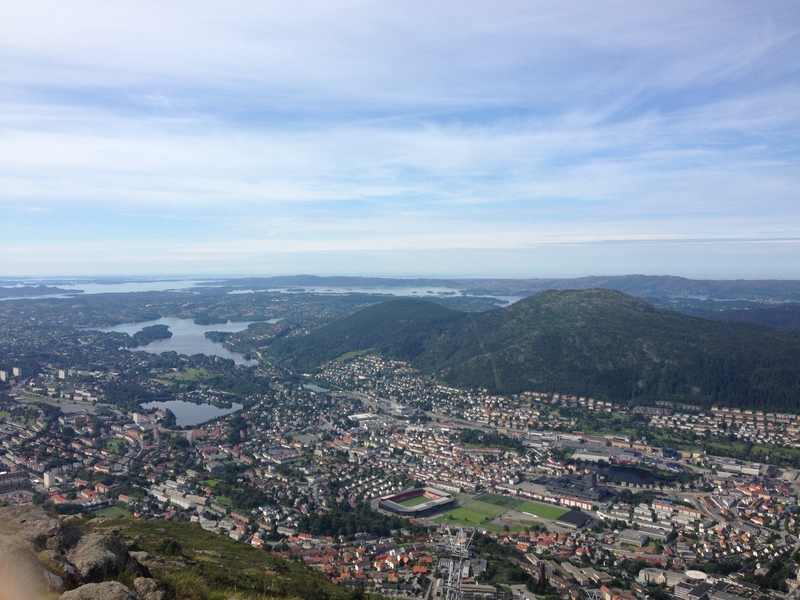 Bergen is an international city packed with history and tradition, a big city with small-town charm and atmosphere. 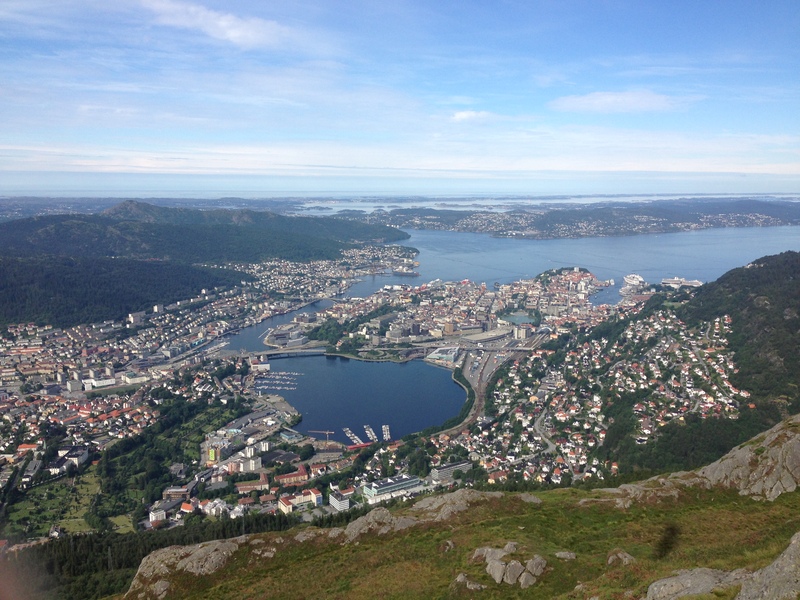 We started out with the Ulriken Cable car which takes us up to 2,100 feet above sea level to get a full view of the city. 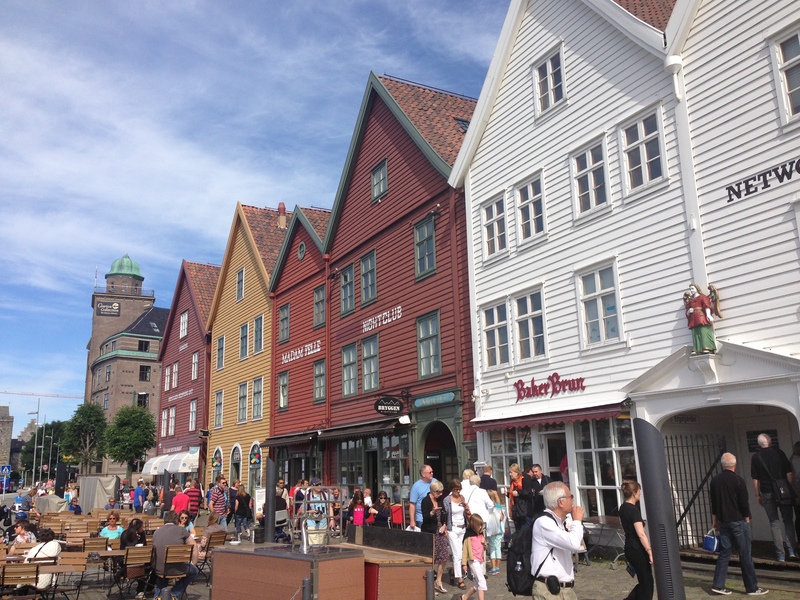 We were too hungry and craving for seafood so we skipped the rest of the tour sights, dismissed the guide and headed right to the Bryggen Hanseatic Wharf. 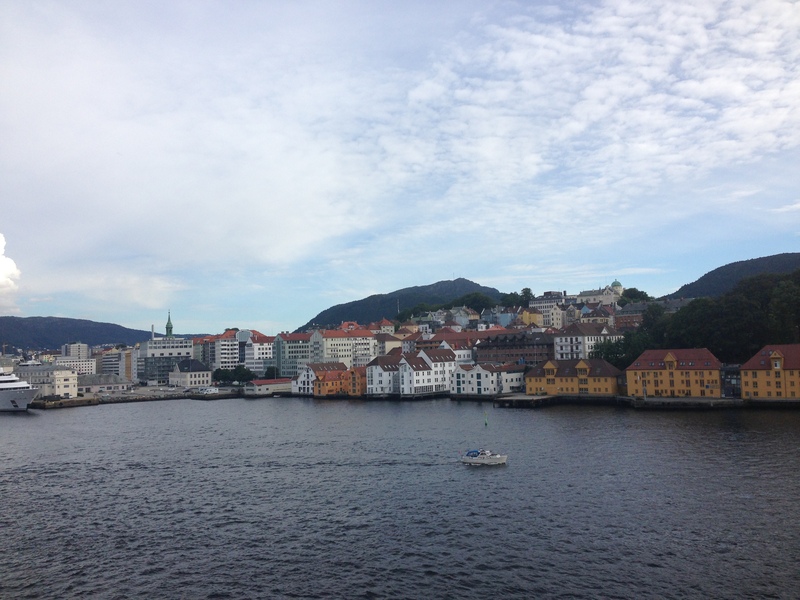 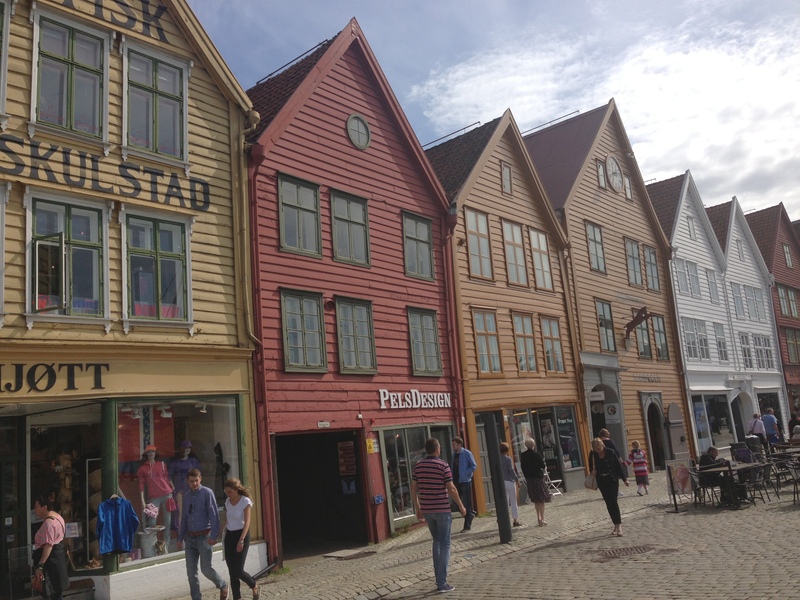 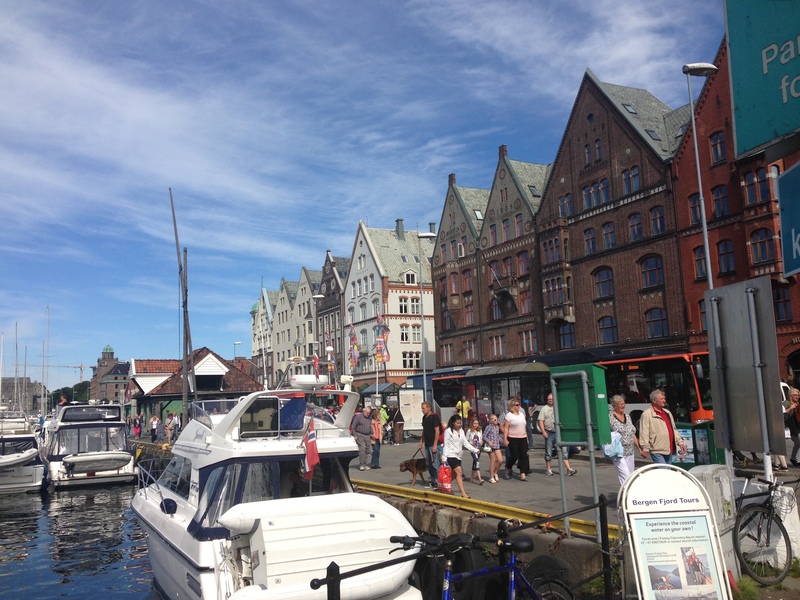 The very first buildings in Bergen were alongside the harbour called Bryggen. 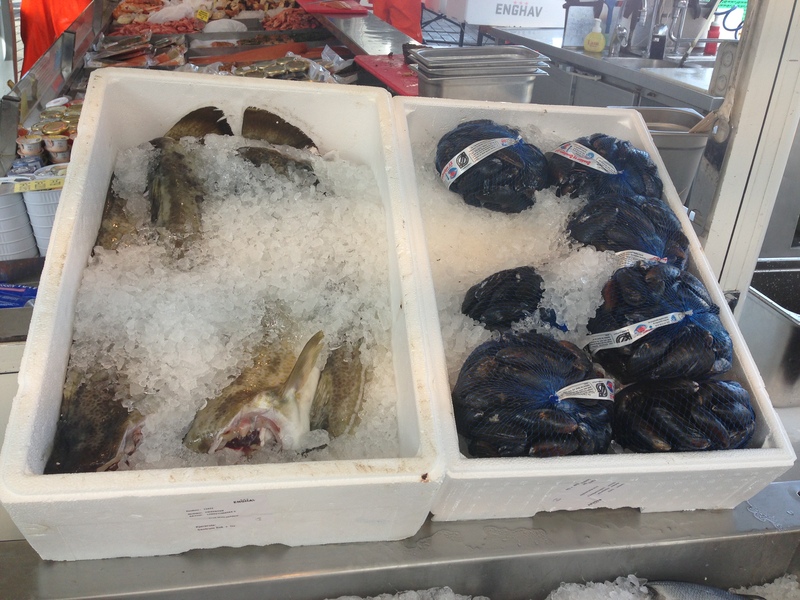 A walk in the fish market. 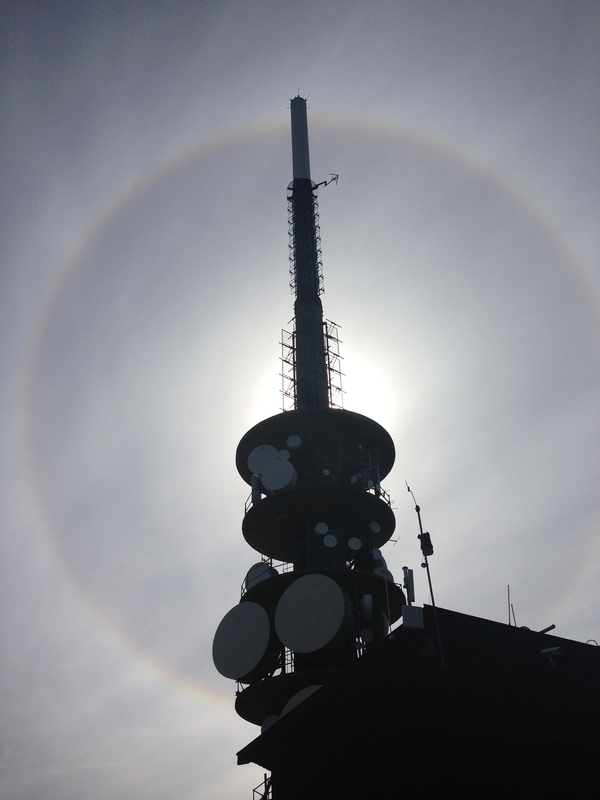 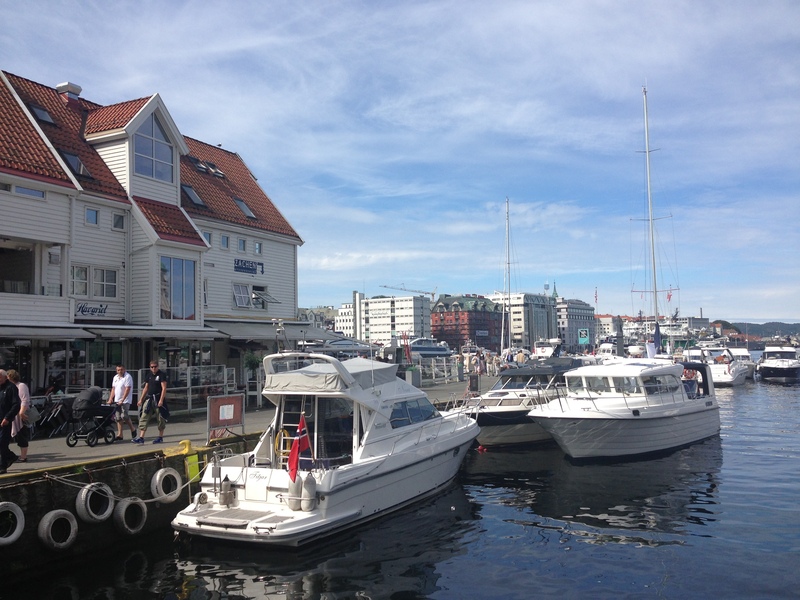 It was sunny and warm, we have been so lucky with the weather in Norway throughout our two week journey, have to think this family trip was just meant to be……..
We were hungry, drooling and yes, Norway is expensive, so expensive. 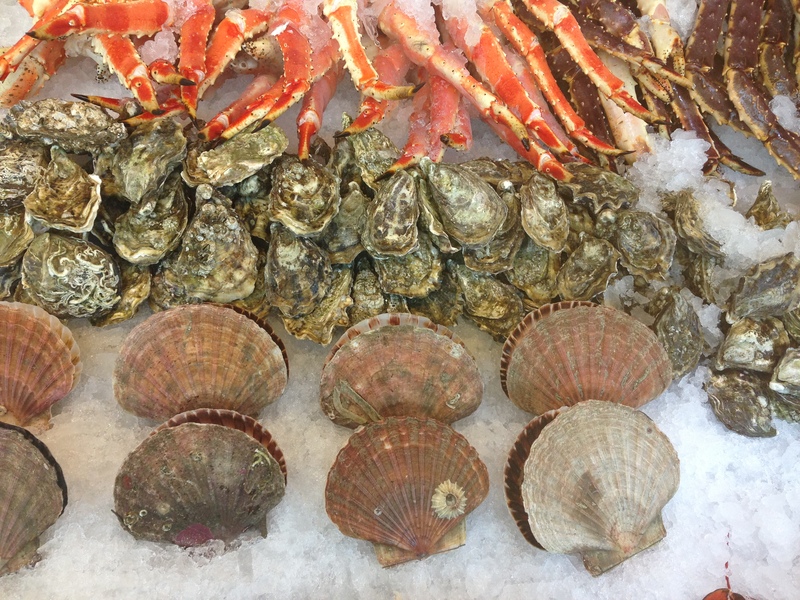 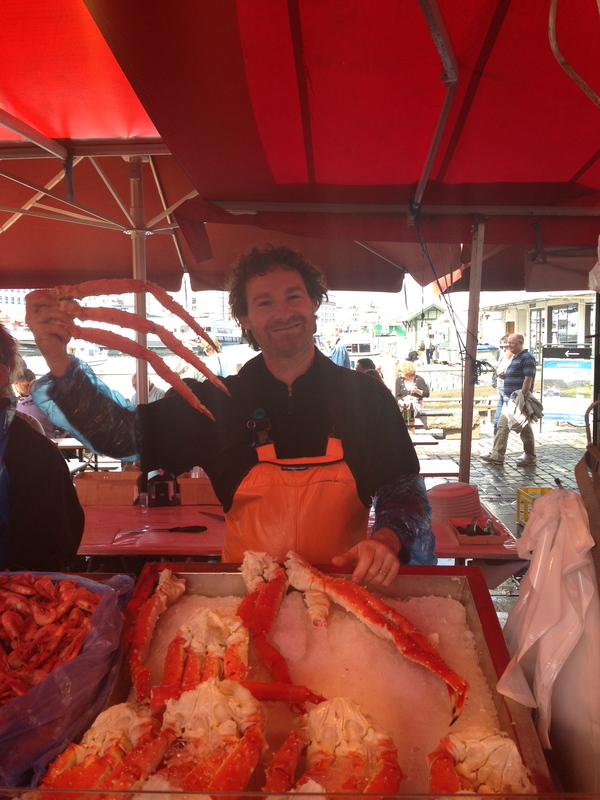 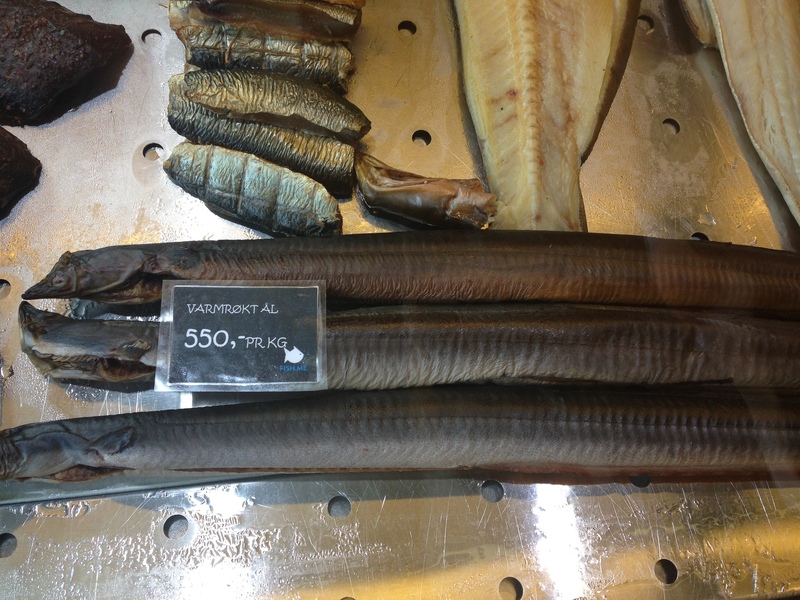 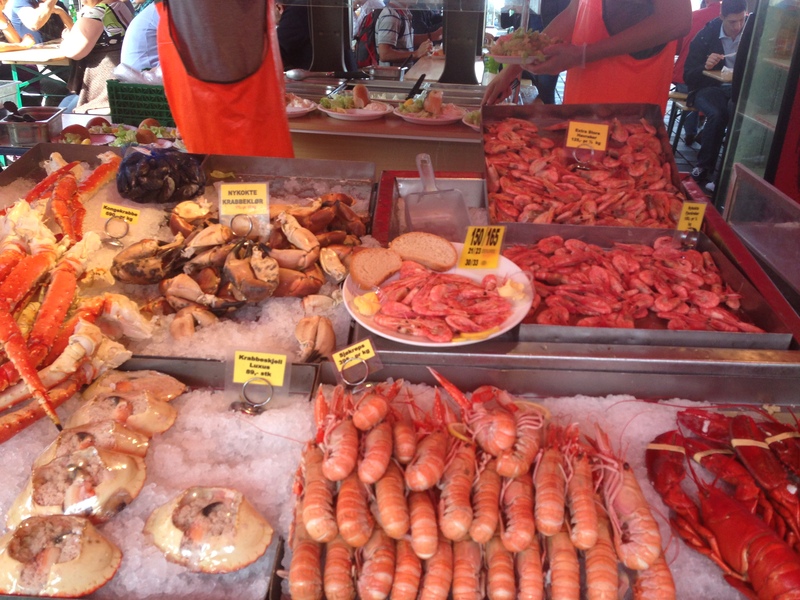 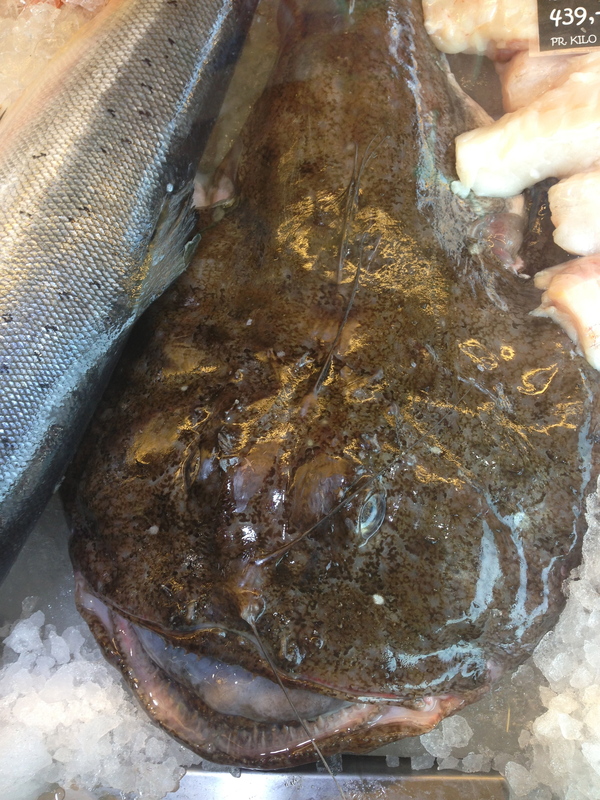 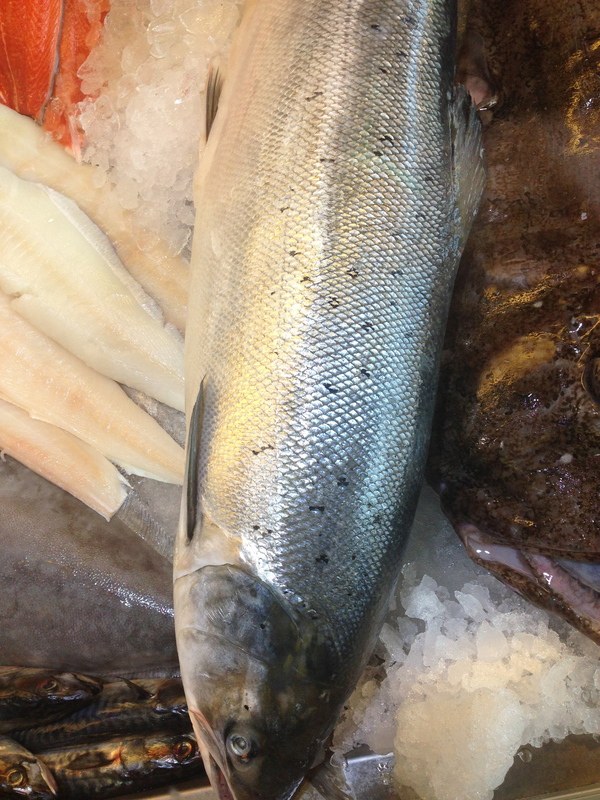 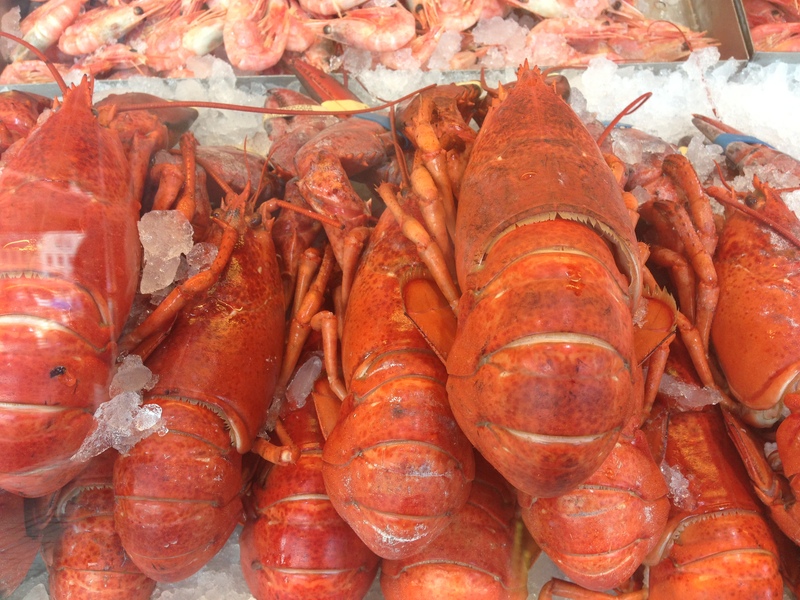 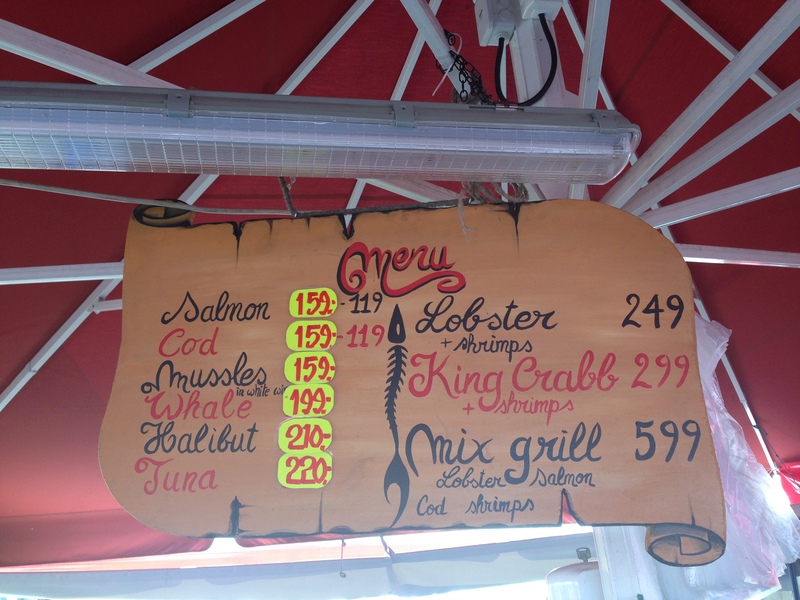 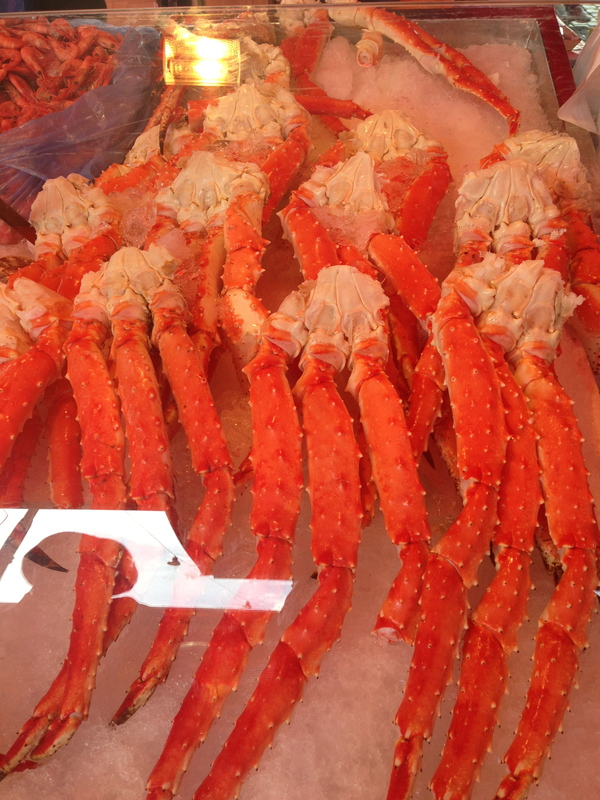 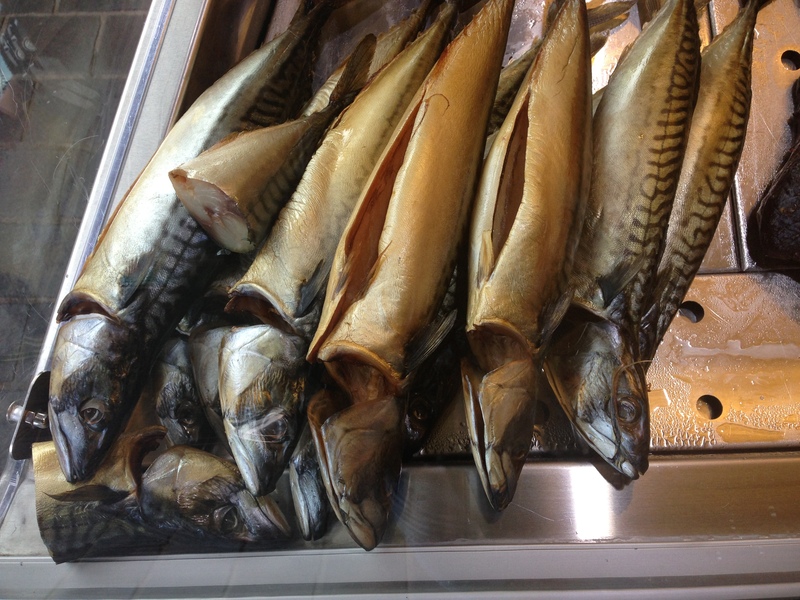 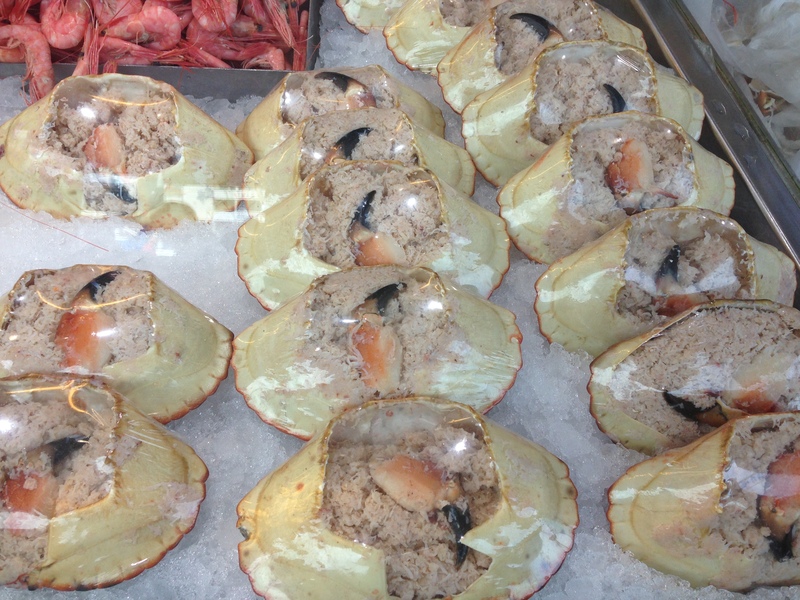 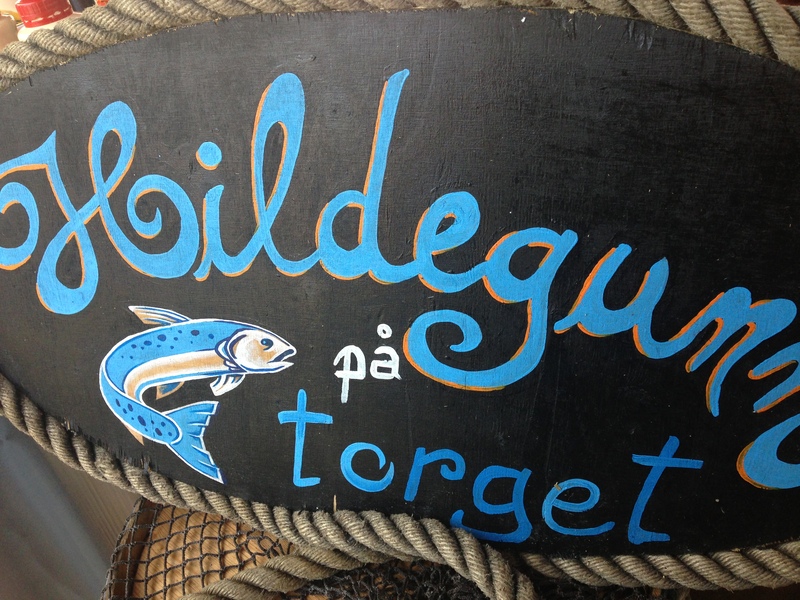 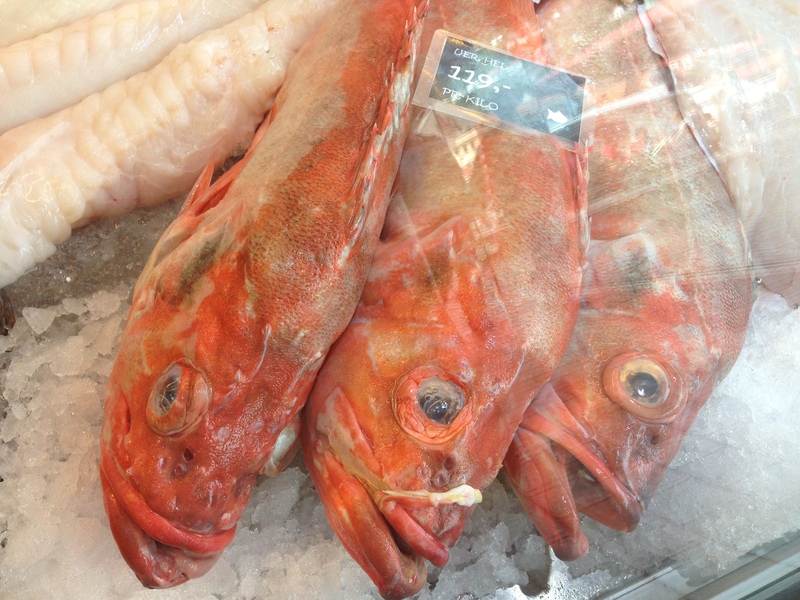 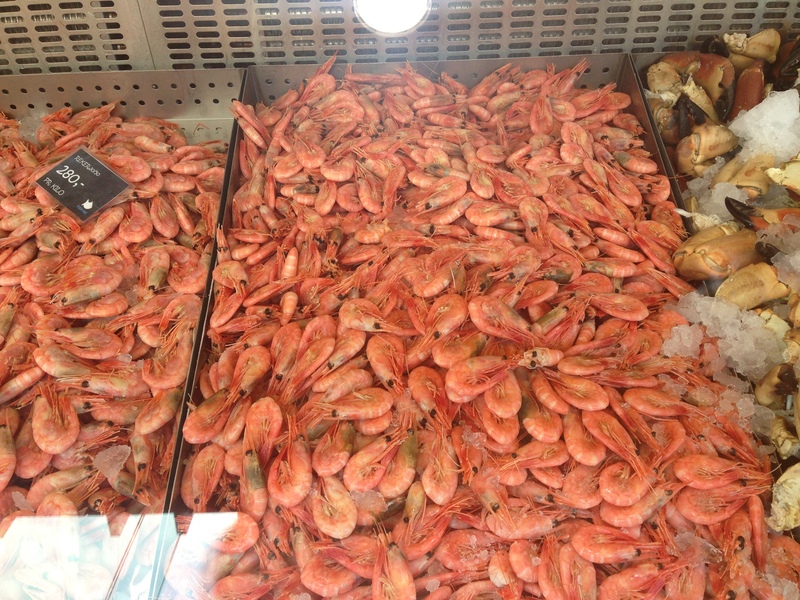 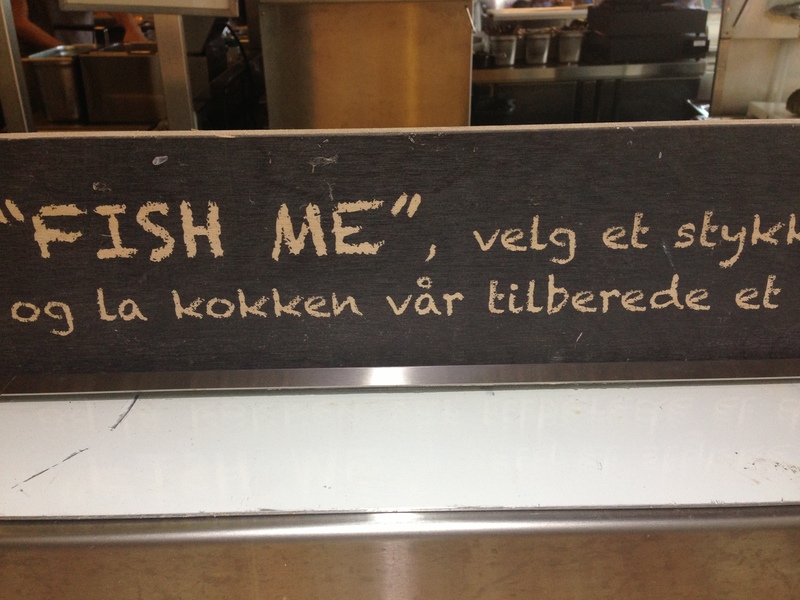 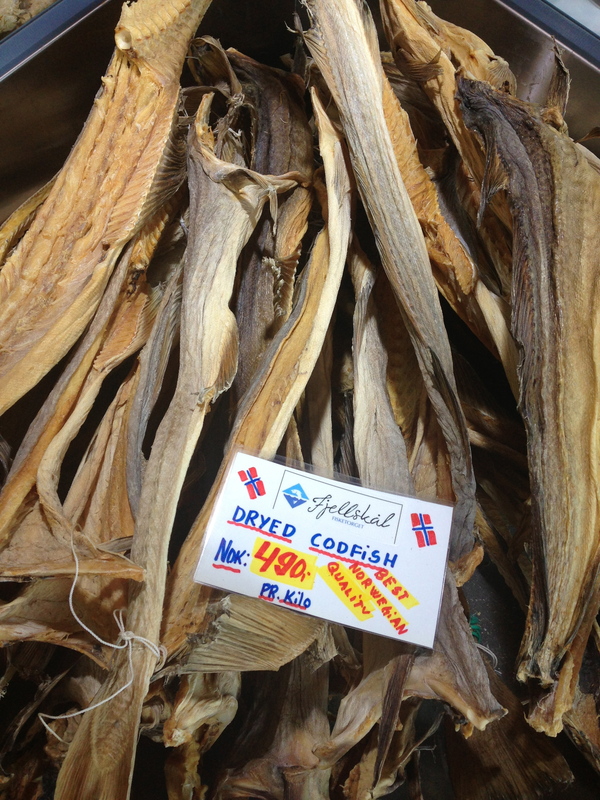 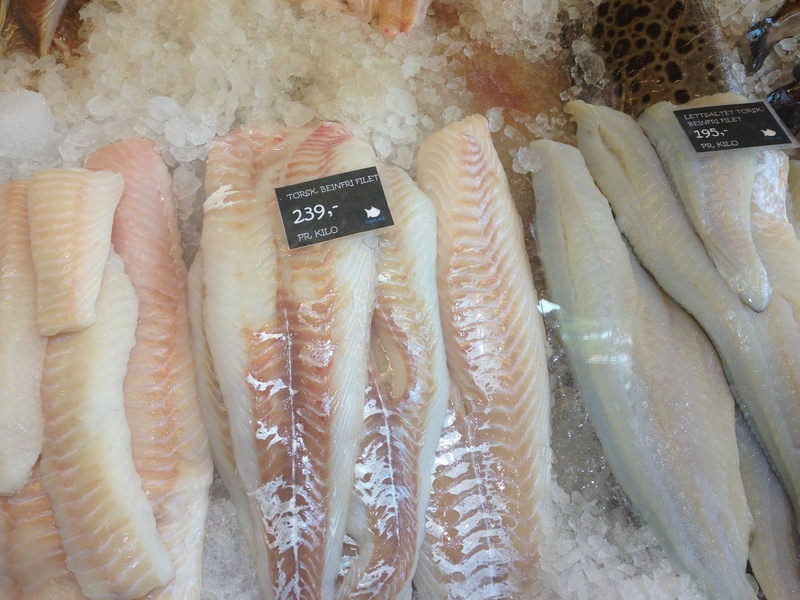 Salmon, cod, scallop, sea urchin, shrimp, langoustine, king crab, octopus, fruit, wine, beer….we got it all. 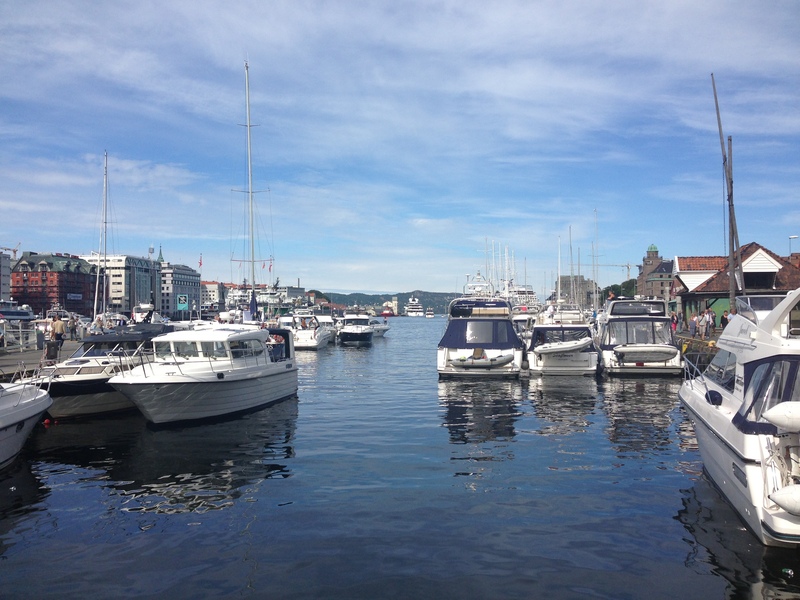 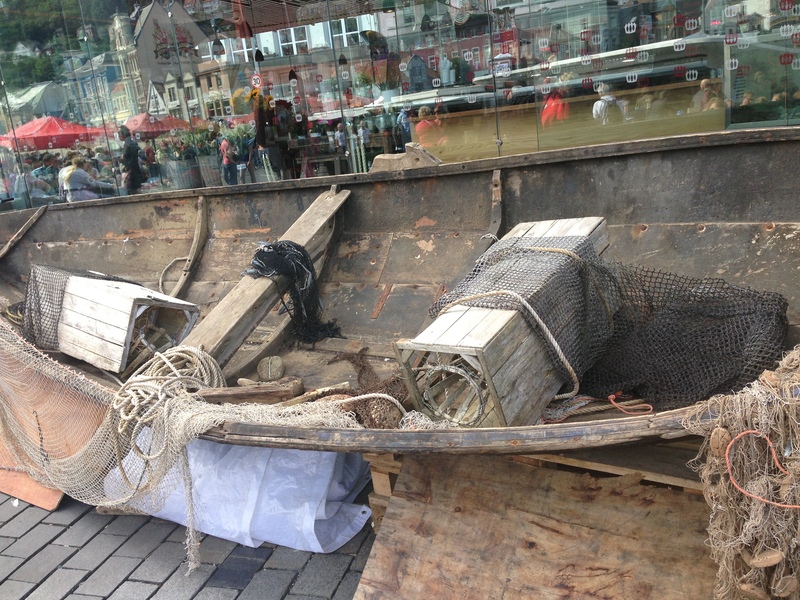 The picturesque and charming Fish market in Bergen is one of Norway’s most visited outdoor markets, full of life located in the heart of the city between the fjords and Bergen’s 7 mountains. 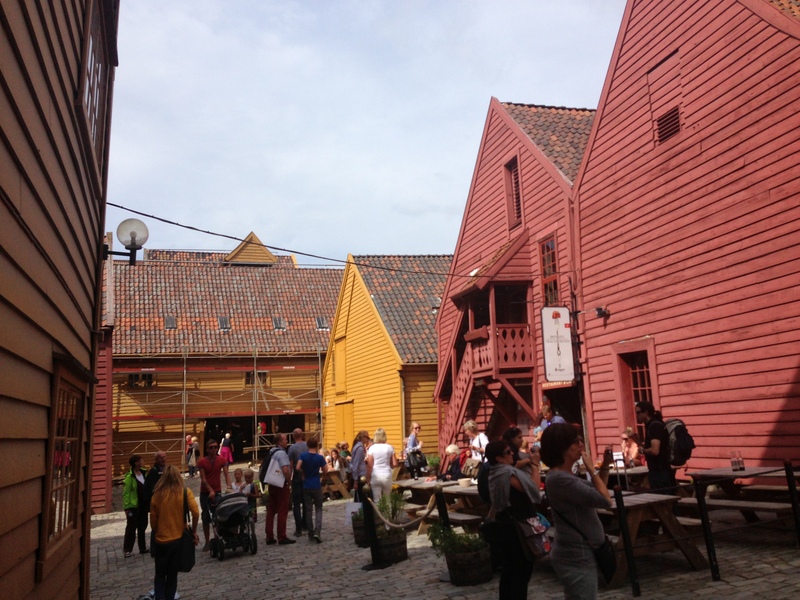 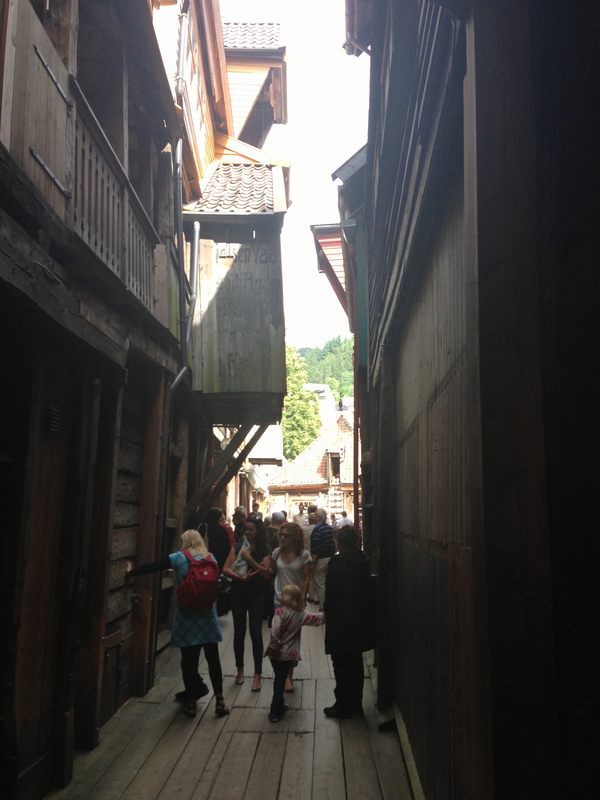 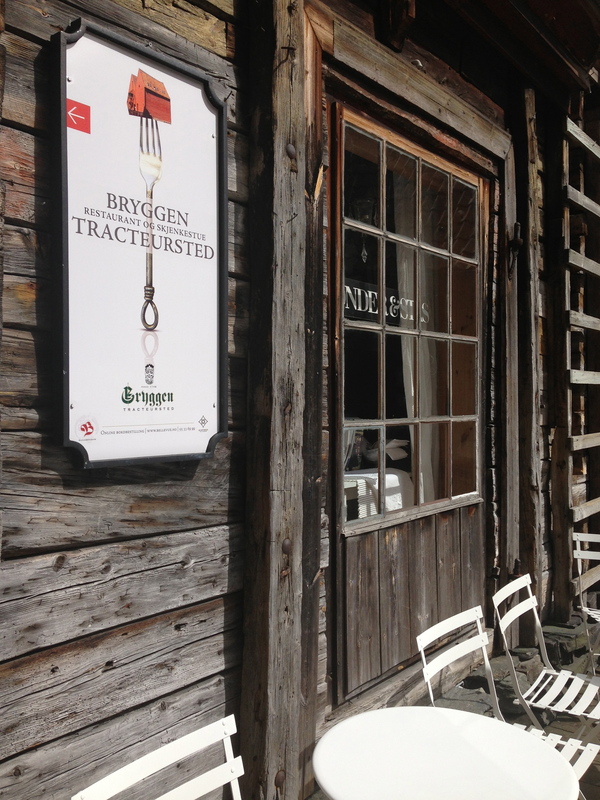 The UNESCO protected old merchant quarter of Bergen is the only preserved business zone from the Hanseatic period. 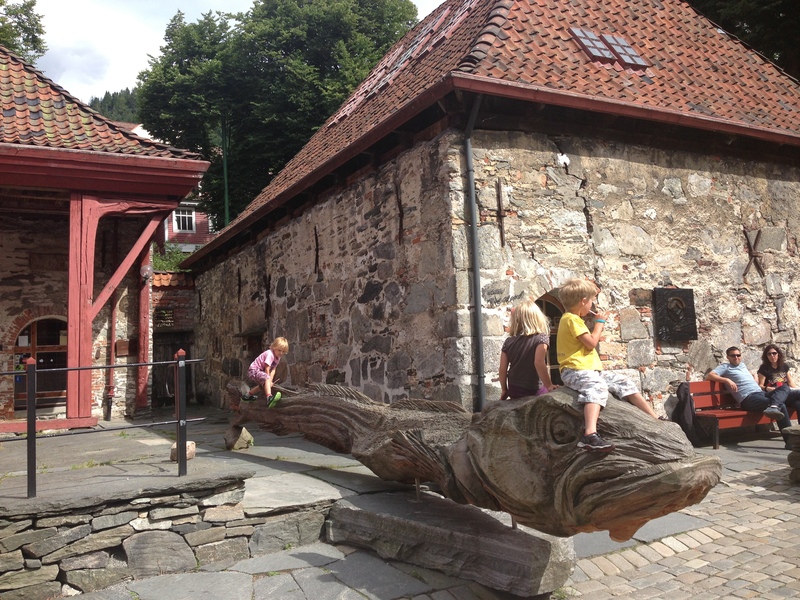 This old wharf of Bergen is a reminder of the town’s importance during the Hanseatic League’s trading empire from the 14th to the mid-16th century. 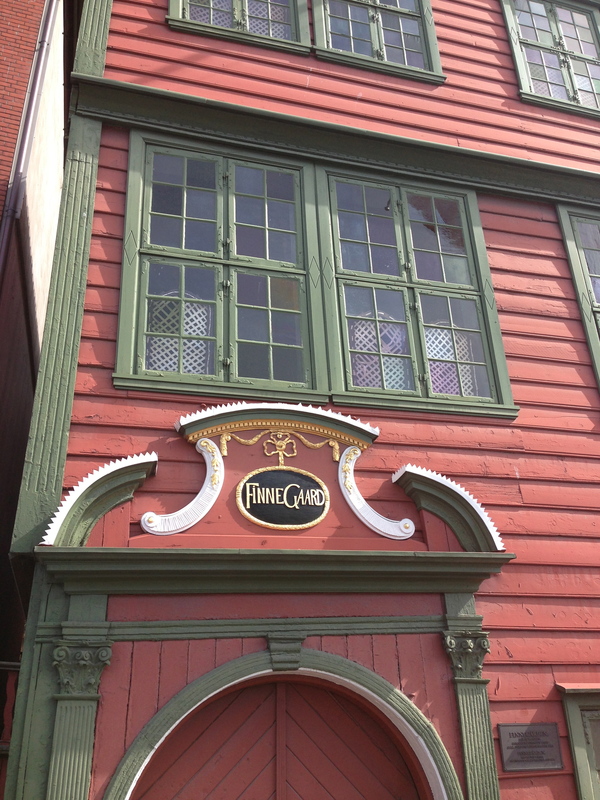 It was a commercial confederation of merchant guilds and their market towns dominated trade along the coast of Northern Europe. 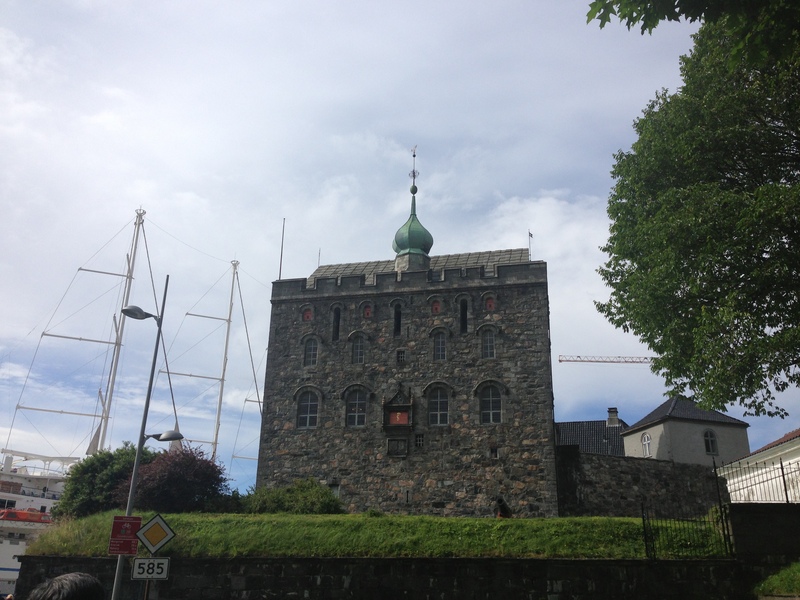 Bergen is a walker’s gem, it is small enough to get around on foot, big enough to be interesting and old enough that takes you to other eras.